I am a huge lover and believer of try before you buy which is why I think this new service from Feel Unique is amazing! I briefly read about this in an email then forgot all about it until I came across HannahHeartss blog post here and thought it was definitely time to place an order. 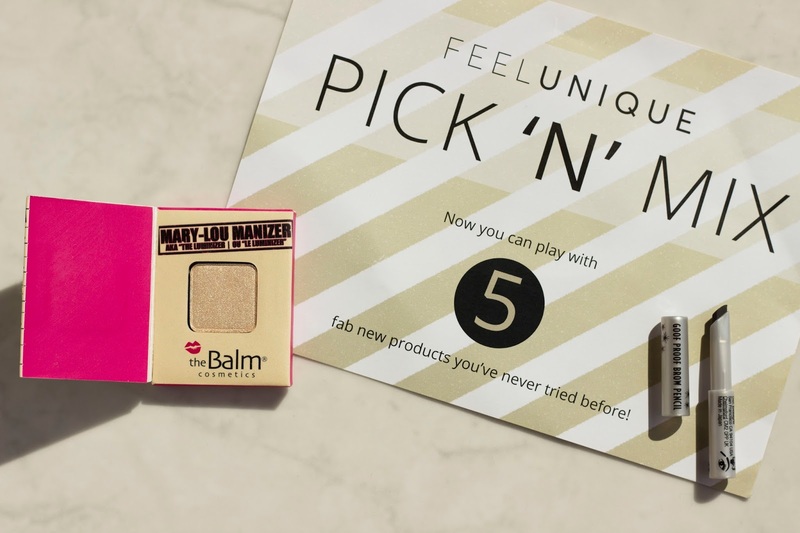 My favourite part about choosing the samples is you can refine your search, for example choose what kind of sample you want such as, in a sachet, bottle or on a piece of card. I found this so useful because I never feel you get much product in a sachet or on a card. It's definitely worth taking into account the sizes of the samples so you're not disappointed when they arrive in the post. 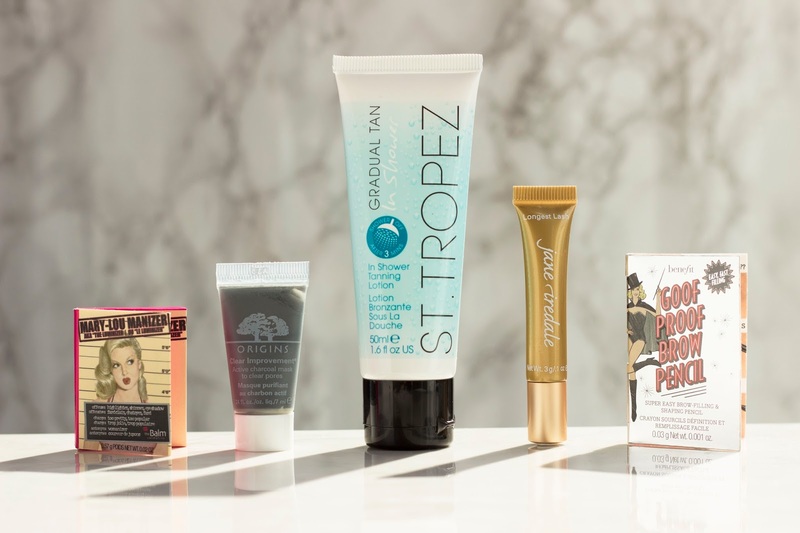 There is such a huge selection of samples to choose from, I'd definitely recommend selecting your preferred area such as make-up or skincare and having a good scroll. I spent so long doing that and was completely spoilt for choice! I've heard a lot of good things about this product especially as a highlighter and was super excited to try a sample of it! I have definitely been caught up with the huge highlighter hype at the moment! Now although this product does give a gorgeous glow on the skin I wasn't as impressed as I thought I was gonna be so at the moment I'm not sure I would purchase the full size version. Although I feel I may have to give it another go, maybe using it as an eyeshadow or as an all over glow. I was excited to try this as I've heard thousands of good reviews about Origins products. I've also found myself loving charcoal face masks at the moment. I found that the instructions weren't that easy to understand as they were very minimal. It doesn't tell you how long to leave the mask on for or how often to apply? When first applying to my wet face it felt the same as any other charcoal mask however as it started to dry it felt like it was burning the sort of feeling that thermal face masks have however this one didn't say that so I was a little concerned! I waited 5 minutes and it had mostly dried on my face, with a very stiff and uncomfortable feeling although it felt so soft and really pleasant to wash off. No immediate visible difference apart from super soft skin. The next morning however I did definitely feel like my face looked and felt clearer. So maybe after another go with clear results it might be worth the investment! I'd never heard of this brand before, I came across it whilst seeing what others had most ordered and thought I would give it ago because I loved the sound of thickening and lengthening the size of my lashes! I have to say first impressions weren't great a I pulled out the mascara wand from the tube and questioned how it ever possibly fitted in there! I was definitely sceptical because of the huge brush however I was ever so pleasantly surprised! It's amazing! I could instantly see a difference they looked so much longer, the best way to describe it was my lashes just about 10x better! I don't feel you could tell they had much product on them, such a natural finish. I was unsure how this product was going to arrive because of how small the sample size guide was but my oh my its small! I actually found it super difficult to hold to try and apply it (about half the size on a ikea pencil!!) However once I mastered it, I loved it! Such a difference, so full and gorgeous! Although after not using a brow pencil in so long I'm unsure whether its as good as any other brow pencil out there?! Overall I was super happy with my first 5 samples and look forward to it each month. Let me know if you've ever tried this sample service or are thinking of doing it next month. 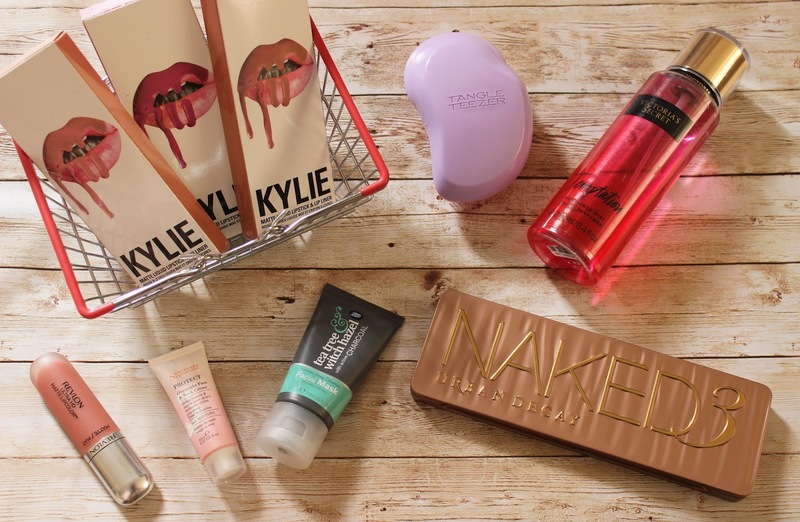 Featured above (from left to right): 3 Kylie Cosmetics Lip Kits in the shades; Candy K, Posie K & Koko K. Revlon Ultra HD Lip Colour in the shade Seduction, Sanctuary Spa Overnight Face and Neck Creme, Tea Tree & Witch Hazel Facial Mask, Pink and Purple Tangle Teezer, Urban Decay Naked 3 Palette & Victoria Secret Fragrance Mist - Temptation. I can't believe here we are at the start of August already, that's crazy! This year really has gone super fast! But on a slightly lighter note here's my monthly favourites! I'll pop all the links at the bottom of this post so if theres anything you fancy you can find out where you can get your hands on it! Enjoy! This palette has always been a gorgeous stop and stare palette to me however in the recent few months I've really found myself reaching for it everyday and now becoming part of my everyday make-up. I've especially been loving the shades; Limit, Nooner, Buzz & Burnout. 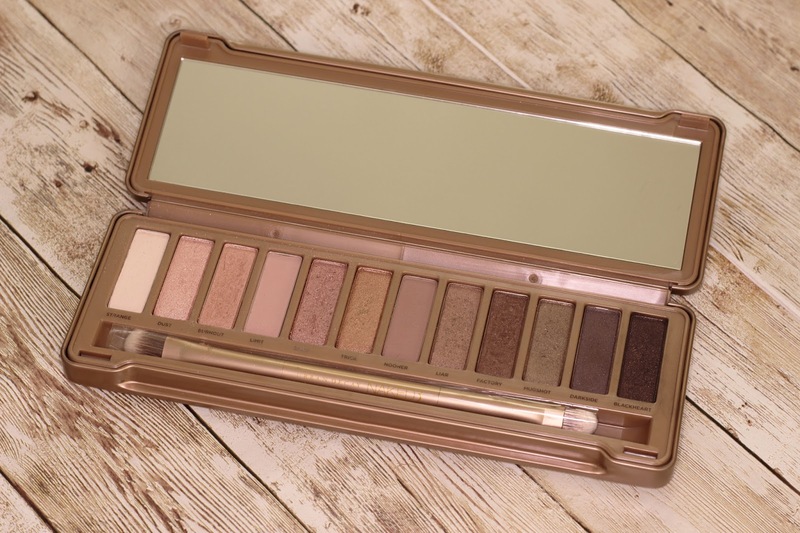 I feel this is such an easy wearable eyeshadow palette and there really isn't a colour which I dislike and haven't yet used. 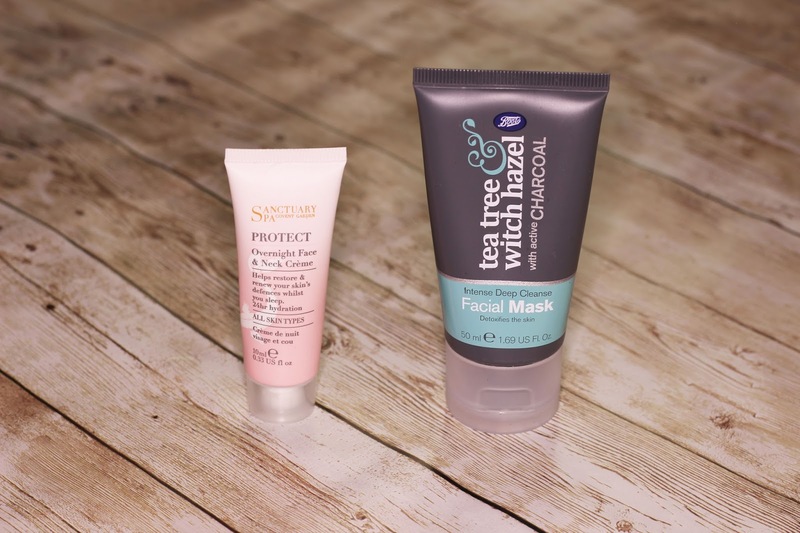 These next two products I picked up with having no intentions of them being my new favourites and really becoming part of my skincare routine! I picked up the Sanctuary Spa Overnight Face and Neck Creme before I went to Vancouver as a travel size mini. I thought it would be a good idea to have an extra moisturiser for the plane however I also found myself using it before bed each night (revelation that I used it for what it was actually for!) It smells delightful and exactly like turkish delight which I was slightly put off with to being with however I have soon learnt to love it! As for how well it works I love how smooth it is to apply, doesn't leave my face with the sticky feeling that some moistures often do. I will definitely be re-purchasing however this time the full size version! I have really missed using a charcoal facial mask so I thought it was definitely time I treated my skin to a new one. Whilst having a quick wonder in Boots I noticed this one and on a buy one get one free offer I thought why not give it a try! I absolute love this! It has definitely been a savour and I really have seen a difference. I only use it once a week in the evening when I feel my skin isn't looking too great and could definitely do with a boost. You smooth it and cover your face, leave it for 15 minutes to work its magic and then wash off! Nice and simple. The following morning I always find that my skin is softer and reduces the appearance of any blemishes. I actually bought this one and 2 others to use in a photoshoot. I first tried these out whilst on FaceTime to my best friend and it was really not the greatest first impression they felt sticky and didn't go matte at all (even after 3 hours of talking) however I really liked the shades so I persisted! 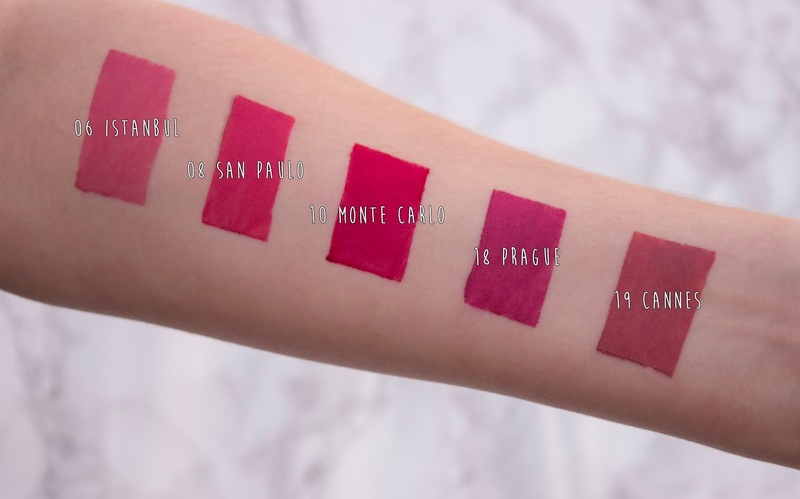 I eventually found that you have to apply a really small amount, you definitely don't get as much pigment but they are super moisturising and slightly matte. 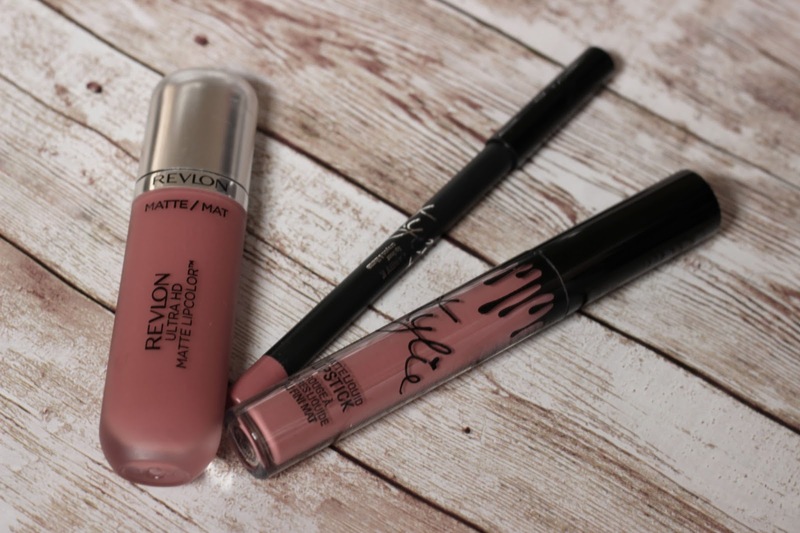 If you're looking for a bold pigmented matte then this is not the liquid lipstick for you however for a subtle matte with most of the time having a glossy appearance without the stickiness and gorgeous colour then this is the one for you! 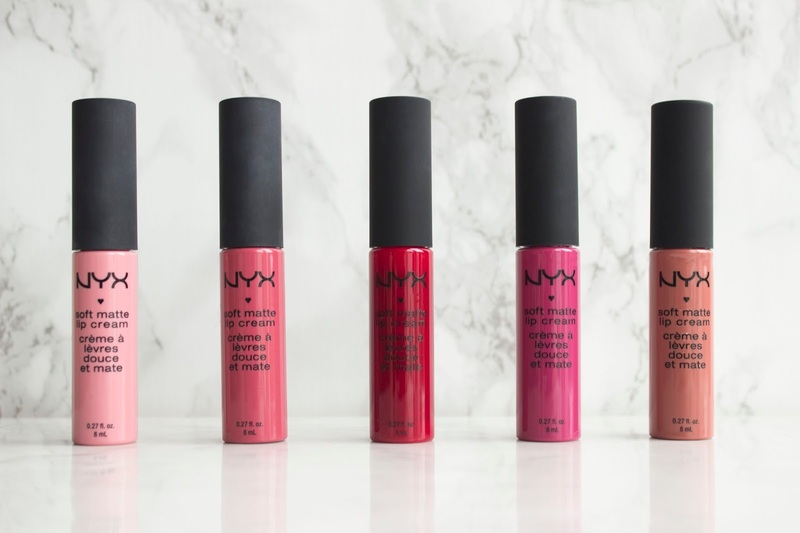 There are 7 shades in total in the collection. Let me know if you've tried them out and what your result/experience was! My Oh My, hasn't there been the craziest hype for these lip kits! I promise to follow this short but sweet review up with a complete blog post dedicated to my lip kits in much more exciting detail and my experience very soon! I've been wearing Candy K loads this month! It's been ideal to wear for work especially working 10 hour shifts with only one lunch break to top it up! It definitely lasts the whole day without budging, sometimes with a little top up after some food but I'm so impressed. The colour is so wearable for everyday as well as receiving multiple compliments from customers which is always a bonus! 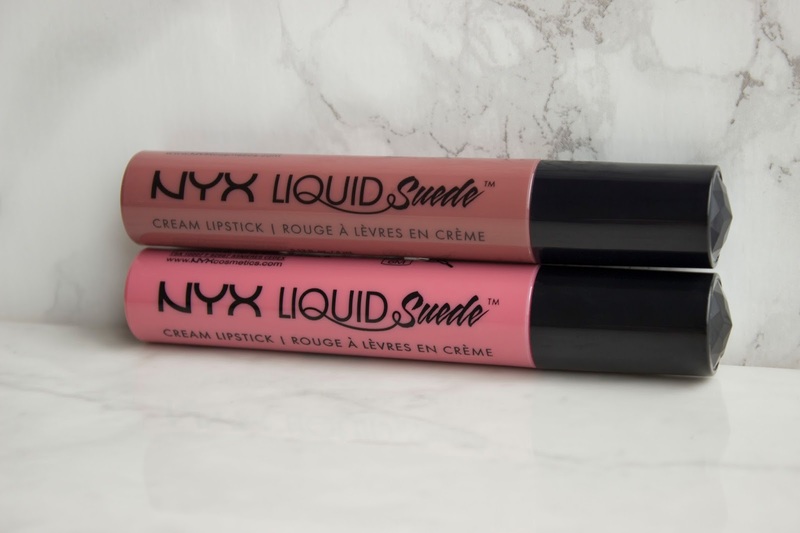 Side note; comparing these two liquid lipsticks they almost look as if they could be dupes however sadly that isn't the case! Candy K is much more pigmented and slightly darker! The packaging for Revlon is very deceiving for colour! This is much more of an all time favourite rather than just through July however I realised I'd never really mentioned this little beauty on my blog before! Since owning the tangle teezer I completely understand why its drawn so so many people in! It's amazing! I honestly haven't used another brush since! It's so smooth going through hair and makes it feel super nice and relaxing (is that a weird thing to say?!) It's such a handy and portable size to carry around, really is my life saver! I picked this up in Vancouver and oh boy I wish I picked up 5 bottles! It smells incredible, (here goes a completely terrible description of what something actually smells like!) its a refreshingly fruity fragrance, probably not at all how they would describe it but theres definitely only one way to find out what its really like and that to go into the wonderful store to smell it! I hugely recommend it! I've used far more that I expected to use by now! That must say something! I hope you've enjoyed reading about what I've been loving this month! 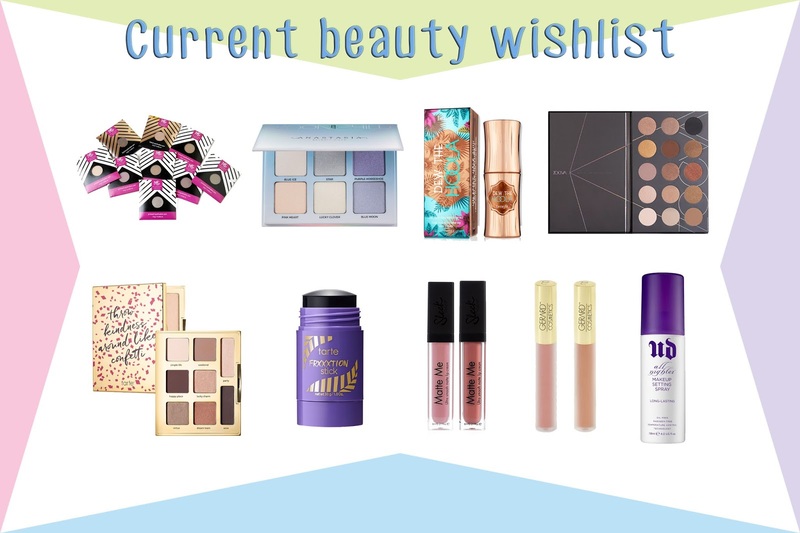 I hugely enjoy seeing what everyone has been using and what I should put on my next wishlist! 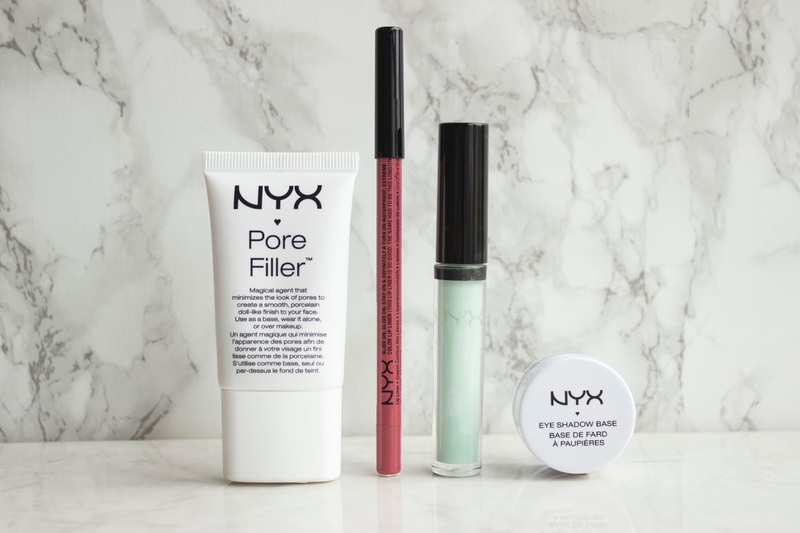 Have any of you tried any of these products/items? What did you think about them?